Carcassonne offers a variety of restaurants and shops, both in downtown (0.5 mi west of Maison Juliette) and in the Cité (0.7 mi east of Maison Juliette). See our annotated Google map for more recommendations and walking/driving directions. La Table de Bastide, the #1 rated restaurant in Carcassonne, according to TripAdvisor. Small place with most of the tables in the barrel-vaulted basement – intimate and stylish. Excellent food. Reservations recommended, since it seats only 20. Located at 55 rue Aime Ramond, a few blocks southwest of Place Carnot. Le Bistro d’Alice: Stylish bistro in downtown Carcassonne, with vintage-style decorations and very good food. Located at 26 rue Chartain, just south of Place Carnot. Cafe de la Comedie: Nice casual cafe with lots of outdoor tables in the shade. Great salads. Located at 13 rue Courtejaire, just south of Place Carnot. 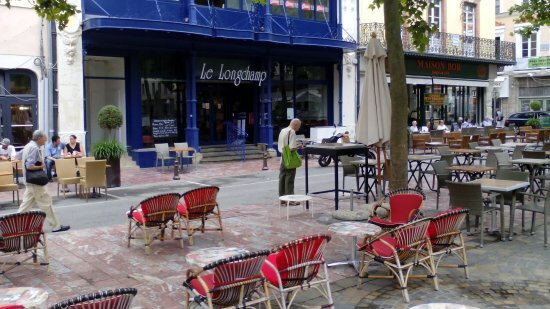 Restaurant Le Longchamp: bistro on Place Carnot, the central square of Carcassonne. Eat outside on the plaza or inside if you prefer. Food is just ok, but nice place to relax and people-watch on the square. Open Sunday in summer. Located on southwest corner of Place Carnot. Restaurant Adelaide: our favorite nice restaurant the Cité. Adelaide has large outdoor patio and ancient but stylish interiors. Three-course menu from 20€. Open Tue-Sun 12-2:30pm and 7-9:30pm, closed Mon. Located at 5 rue Adelaide de Toulouse in Place Saint-Jean. LaBoiteAPizza: Decent pizza that you can order online (as long as you can read a little French) and they will deliver to Maison Juliette. Hint: when they ask for street name, just enter “Alsace”. The house number is 13. 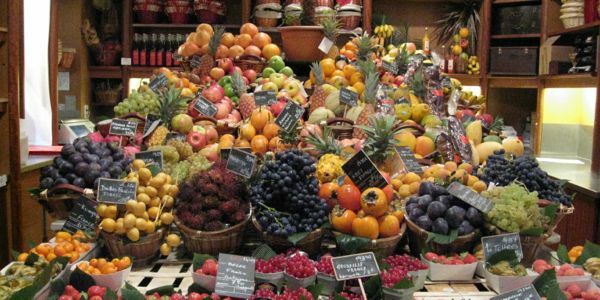 All your grocery shopping is within an easy walk of Maison Juliette. We provide a rolling shopping cart to make it easy. Farmer’s markets: every Tues, Thu and Saturday mornings in Place Carnot, Carcassonne’s central square. Monoprix sells a wide selection of food, plus cosmetics/toiletries, basic electronics, a few clothes, etc. Open Mon-Sat 8:30am-8pm and Sun 9am-12:45pm. Located 0.5 west of Maison Juliette, at 17 Rue Georges Clemenceau, on main pedestrian street just north of Place Carnot. Carrefour City, small upscale grocery store on the west side of Place Carnot. Nicer produce than Monoprix. Open Mon-Sat 7am-10pm and Sun 9am-1pm. Located at 17 Place Carnot. Butcher Petténuzzo Philippe‎: When you order “steak haché” (hamburger meat), they will cut a slice of steak and run it through a grinder while you watch! Located at 30 Rue Barbès, just east of Place Carnot. Gas station & mini-mart, open 24×7. Sells gas, diesel and propane bottles. Also has mini market that sells water, wine, baguettes, cheese and most basics. What more do you need? 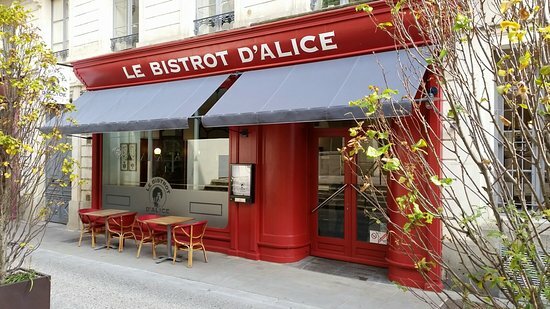 Located 4 blocks from Maison Juliette, at corner of rue d’Alsace and Blvd Jean Juares. L’Epi D Ovalie is closest bakery to Maison Juliette. Open Mon-Sat: 6:15am-1pm and 3:45-5:15pm, plus Sun 6:15am-1:00pm. Located 0.3 mi from Maison Juliette at 54 Rue Antoine Marty. Boulangerie–Pâtisserie Papineau is the best bakery in Carcassonne. Open Tue-Sat 7am-7:30pm, plus Sun 7am-1:30pm, closed Mon. Located at 57 Rue de Verdun, just south of Place Carnot. Wonderful cooking classes in English are offered by Cooking by the Canal du Midi in Millepetit, just 12km from Carcassonne. Classes start at 10am and finish at 3:30pm, after you’ve enjoyed your lunch by the banks of the Canal. 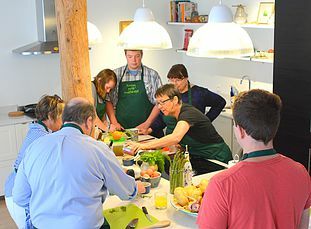 Classes are limited to 7 cooks (110 € each) and 5 companions (40 € each), including all recipes, all ingredients, and lunch with wine tastings. Mango offers stylish womens clothing at reasonable prices. Located at 22 Rue Courtejaire, just south of Place Carnot. Chattawak is another shop of stylish women’s clothes, more upscale/expensive than Mango. Located at 18 Rue Courtejaire. There are many stores in the Cité that sell gifts for everyone on your shopping list – clothes, jewelry, tablecloths, leather goods, and more.